Playoffs start today. Yeah, the Kings aren’t there, but I’m still interested. 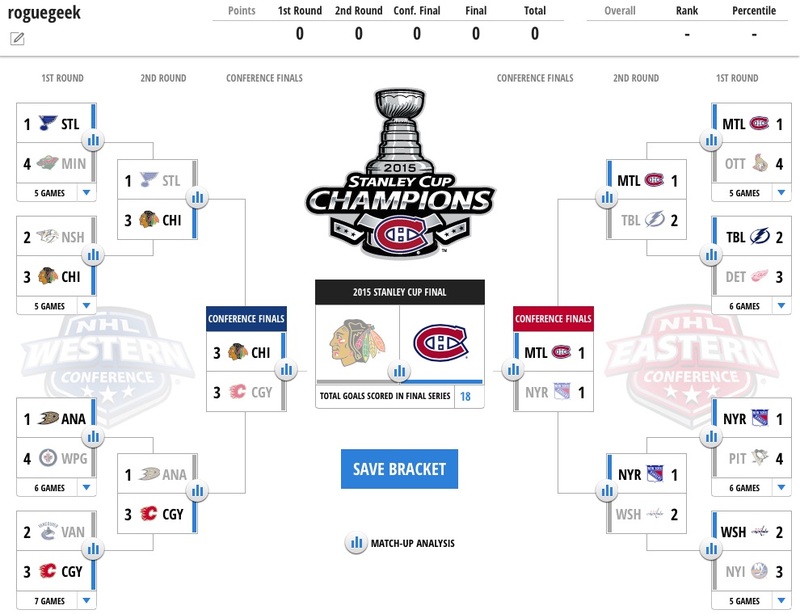 Here’s my predictions for the bracket challenge. This entry was posted in Uncategorized on April 15, 2015 by Rich.